Leverkusen went into this week’s match with a snowball’s chance in Hannover, but that turns out to be a pretty good chance, actually. In a match to rival any other in terms of extreme conditions, Bayer were able to overcome a second-half comeback by H96 to squeeze out a victory in a blizzard. Our good friend Ansgar joins us to discuss Sunday’s match, consider the virtues of DollBall (are there any? ), and marvel at the most ridiculous shot on goal of the year. That sound you hear is Genki Haraguchi still cursing his luck…oh, and there’s a little extra about Doll at the very end, so listen past the outro music. 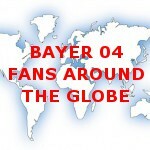 Bayer’s 40th season in the Bundesliga has started much like its last several seasons. A less than convincing preseason, a squeaker in their first Pokal match, and a deserved loss to the horsies in Moenchengladbach after an abysmal second half of something you can’t really call football. And to show our support, the Neverkusen crew recorded a pod with some shoddy equipment (sorry about the sound), only fielded three (miss ya, Pat), and then let Kirsten Schlewitz from the @UnusualEfforts website/podcast run roughshod (not really, of course!). She kills it…all without coffee! We’ll try to improve the sound quality for the next pod – thanks for your patience! It’s been an up and down start to the Rueckrunde, and Sunday’s match against Schalke was one of those down moments. Thankfully, we’ve got some friends to help us break down the match and Eric welcomes Ali to help argue the case for Leverkusen, while Jack from the FC Schalke 04 Pod stops by to rub the match in our faces (in a kindly fashion). In a battle between two young, hot-commodity coaches Tedesco took this round with some good coaching and gutty performances by his team. Leverkusen, while controlling much of the match, didn’t threaten much, and this time HH might have gotten his tactics wrong. All this and more inside this week’s episode! Ouch…Berlin put the herthan Bayer over the weekend. Fortunately, Tom and Eric don’t spend too much time talking about that match and focus instead on the Pokal quarterfinal (Eric kept saying semifinal) victory over Werder Bremen. Joining us to discuss this match is Patrick from Radio Free Weser (@RFWPod on Twitter) – this time, for the first time, as the losing party *fist pump* Patrick is a great sport in part 1, and in part 2 Eric and Tom briefly discuss some of the previous four matches, answer some listener questions, and sorta look ahead to the Pokal semifinal against Bayern. Jam-packed episode, kids, so tuck in!